Welcome to RK Engineering, Manufacturer and Exporter of Boilers and Dryers. The company was established in 2010 at Ahmedabad. We export to Bangladesh, U. A. E. and South Africa. Efficient logistics support, High efficiency and easy installation make us the first choice of our clients. We offer a splendid range of Spray, Flash and Fluid Bed Dryers. 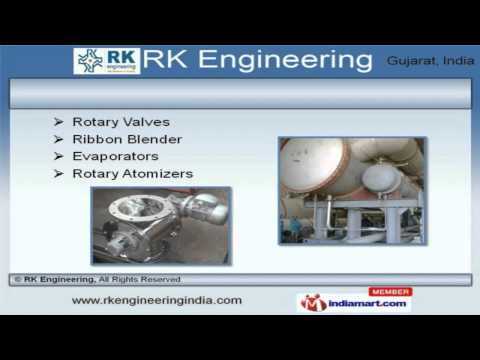 Our Rotary Valves, Ribbon Blender and Evaporators are best in the industry amongst others. We offer Pilot Plant and Spray Dryer for Fertilizer Industries that are well known for their durability. Spray Dryer for Food and Pesticide Industries offered by us are acknowledged for their functionality. Along with that we offer Direct Fire Gas Boiler and Thermal Fluid Heaters that are available at industry leading prices. Our Milk Condensing and Khoa Cooling Equipments are extremely reliable.